Which is the Infected Tooth? A 47-year-old woman with autoimmune hepatitis has a fistula distal to the tooth #28 (Fig.1). 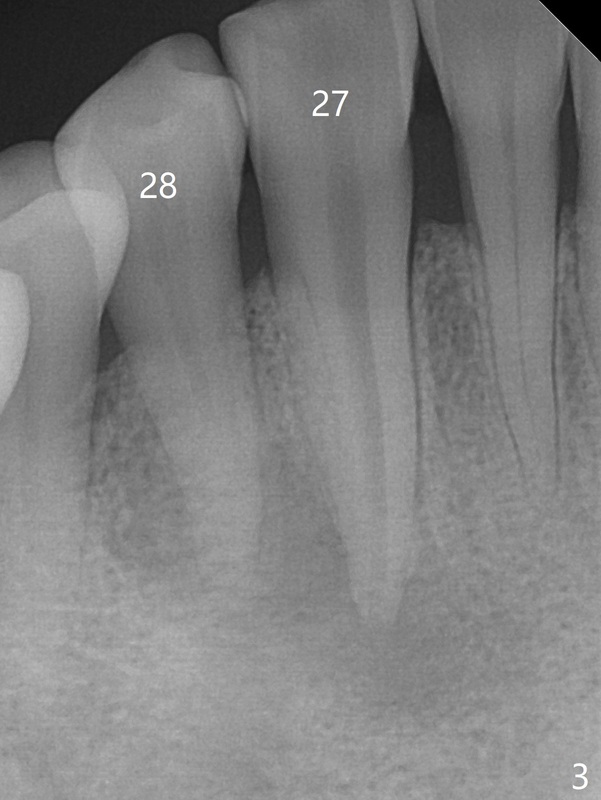 Periapical radiolucency appears to involve the teeth #27 and 28. 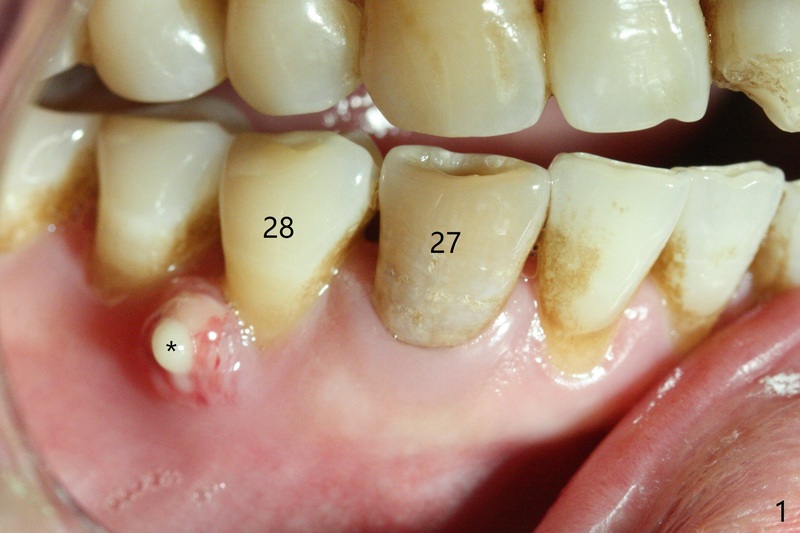 Which is the infected tooth? Treatment plan?